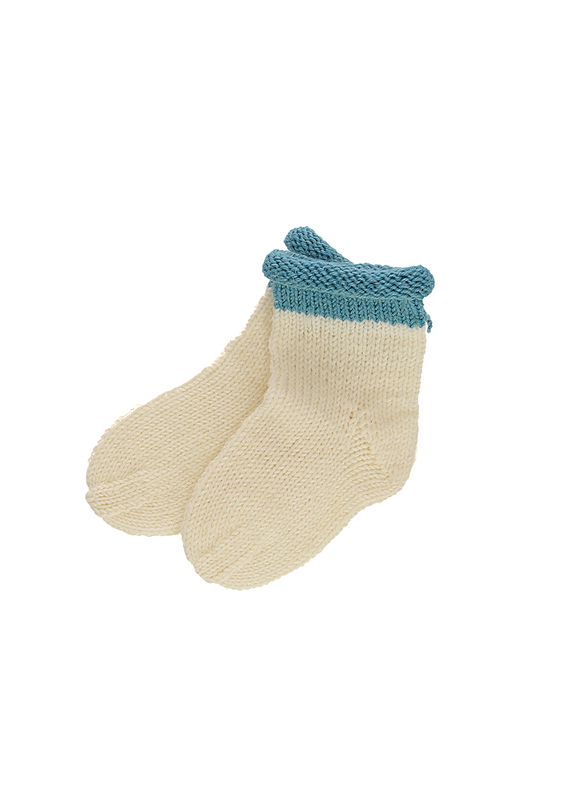 With playful stripes or classy these roll-top baby socks are easily knitted, as they come straight from the super soft yarn Baby Smiles My first REGIA. A good reason for a basic pattern with simple stockinette stitches. With some knitting skills, the classic heel and the toe shouldn´t pose any problems. The sizes in the instructions refer to small feet with a length of 8, 10 or 12 cm (4.7", 3.9" and 4.1").